1. Bracelet size: 8.7''L, 1.3''W. 2. 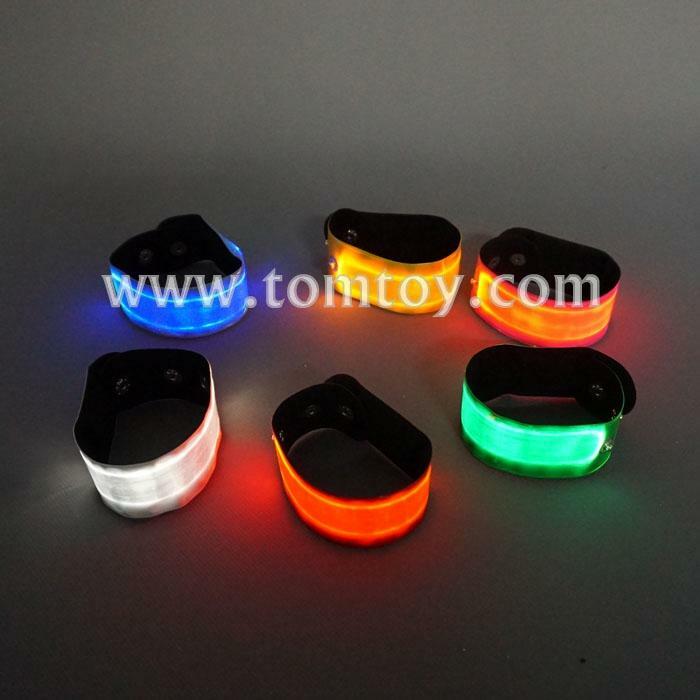 Features 1 flashing LED light. 3. Power: 1-CR2032 batteries included and installed. 4. There are 3 flash modes: fast flash, slow flash, steady. Press the on/off button to start flashing, press again to switch the pattern of lights.